Three-Stone Pear-Shaped Green Sapphire Engagement Ring | Shane Co.
For a ring as beautiful and unique as she is, this three-stone engagement ring is the ticket. 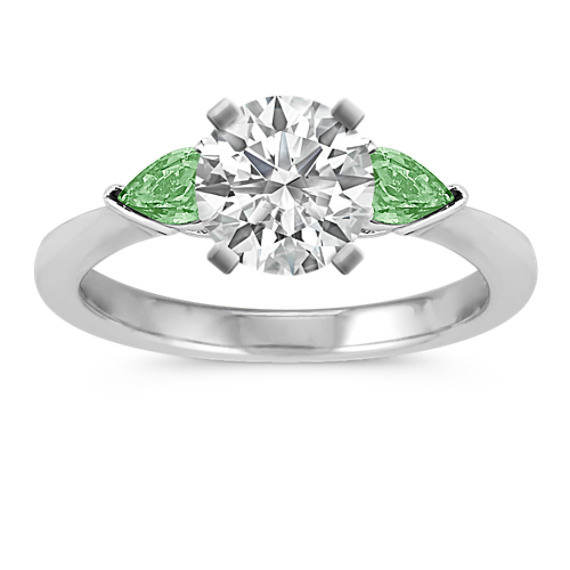 Two pear-shaped green sapphires, at approximately .50 carat total gem weight, will provide the perfect accent to the center diamond of your choice. These vibrant and colorful gems are set in quality 14 karat white gold. Gemstone Carat Weight :1/2 ct. t.g.w.